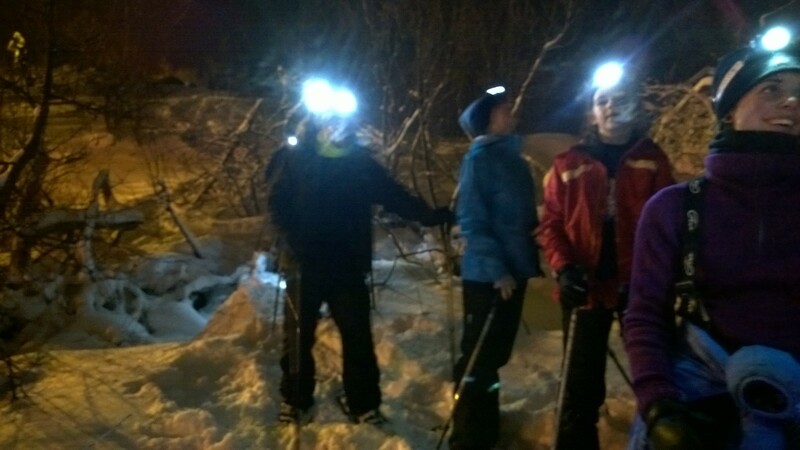 Try snowshoeing on an easy snowshoe trip for beginners and families. 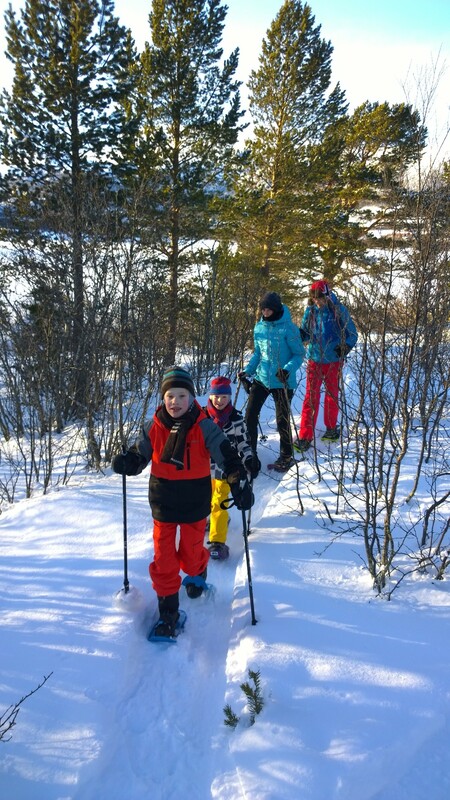 Snowshoeing is fun, and it is for everyone. No previous experience needed. 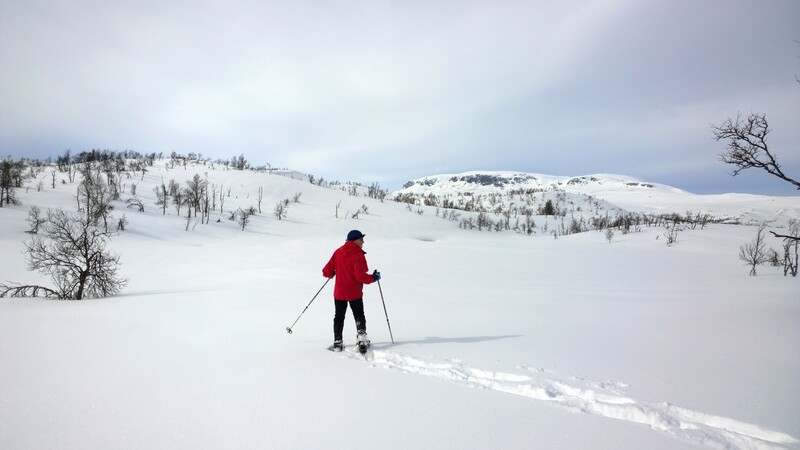 We take you out snowshoeing through magic forests and open landscape. Meeting point and start is Vestlia Resort. Come a little earlier and have a look at Norwegian art and furniture in the reception area. 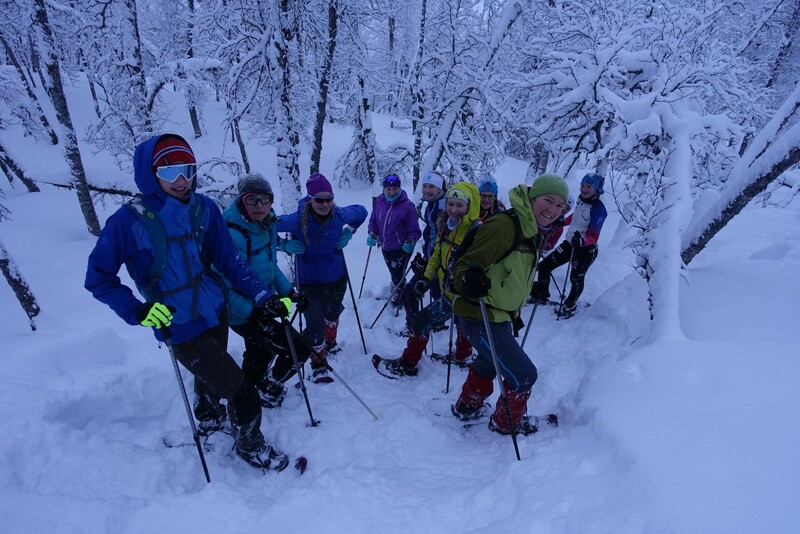 From Vestlia Resort we snowshoe through the nearby forest and out onto the lake "Ustedalsfjorden". 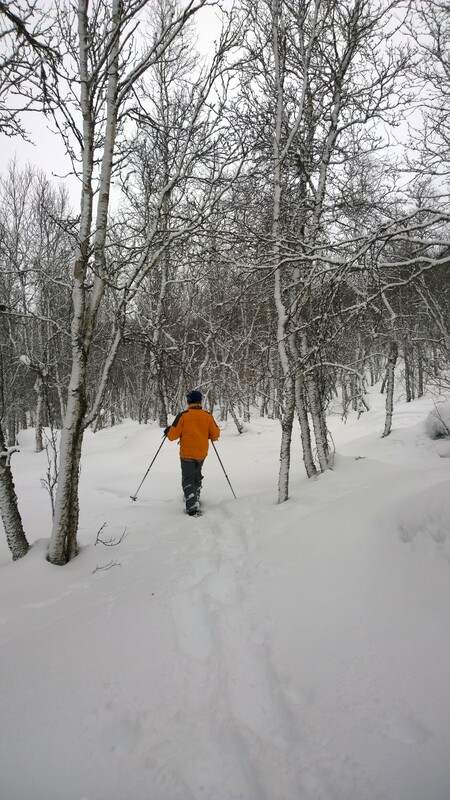 The trip runs mainly on existing snowshoe trails and is mostly flat. Your fitness-level should allow for a 1-1,5h of outdoor activity. 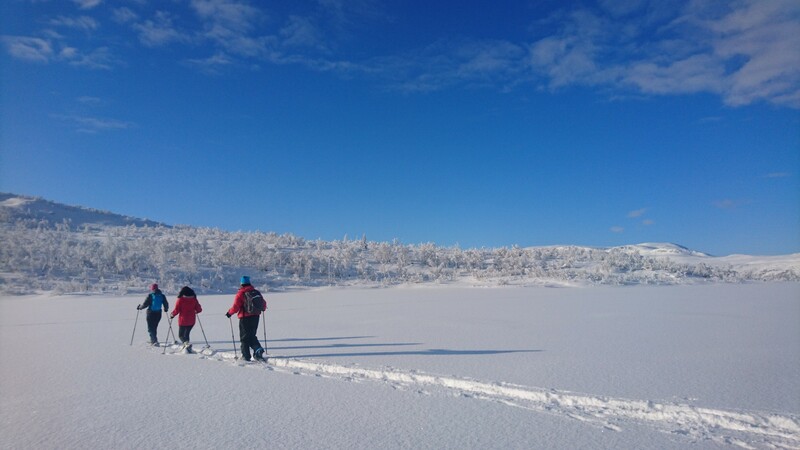 Join us on a snowshoe walk through winter wonderland. We'll makesure you are back in time for dinner! 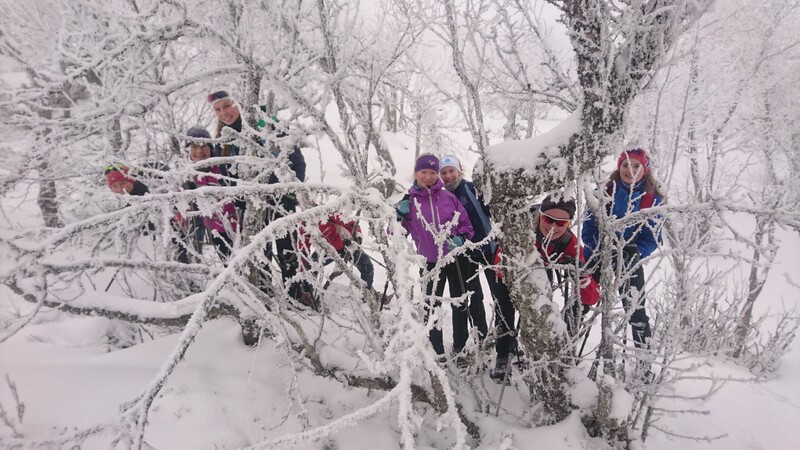 If you are looking for a more physical challenge: try our summit trek! Dress warm, but not too warm. Dress for activity and bring an extra layer to add/ remove accordingly. Windproof shell layers are a must. We recommend a hooded jacket, a woolly hat, a neck/ scarf and mittens. The choice of footwear is very important. Our snowshoe bindings will work on pretty much anything, BUT snowshoes don't protect your feet from getting cold and wet. Your feet are, after all, covered by snow most of the time. Footwear should be warm and comfortable to walk in. Roomy hiking boots and warm (woolen) socks are the best choice. 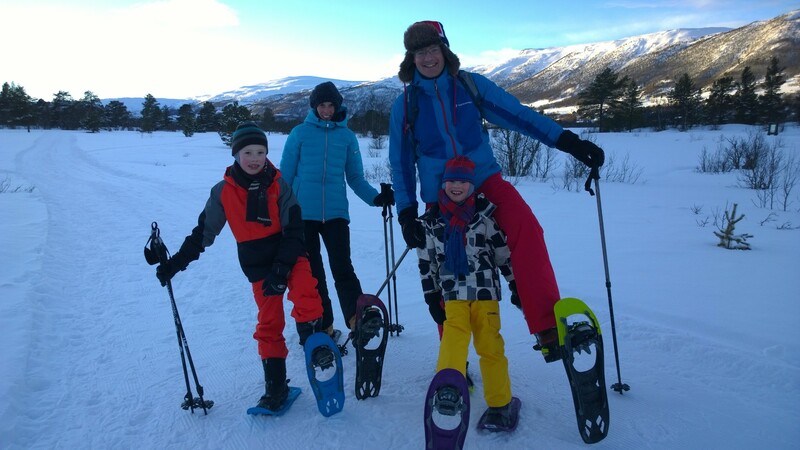 No trainers or ski boots! We recommend the use of gaiters. If it is snowing heavily goggles are nice to have. From February onward bring sunglasses. What to bring: (extra) warm clothing, good (hiking/ winter) shoes, gloves, scarf and hat.